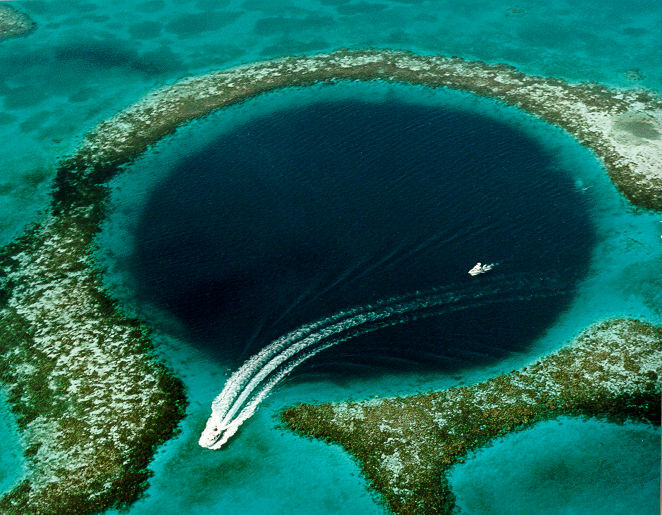 This natural wonder was declared one of the top ten scuba diving spots in the world by Jacques-Yves Cousteau. 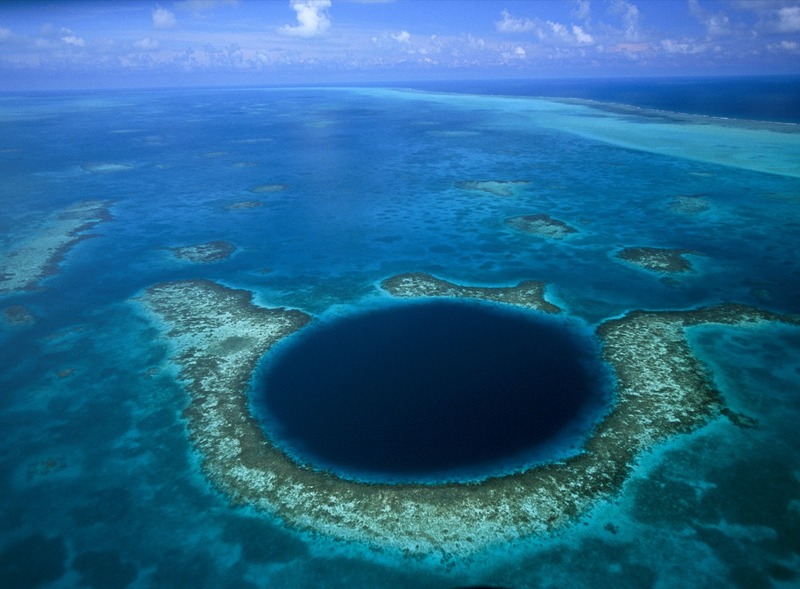 Jacques-Yves Cousteau measured the depth of this submerged sinkhole to be 125 meters. 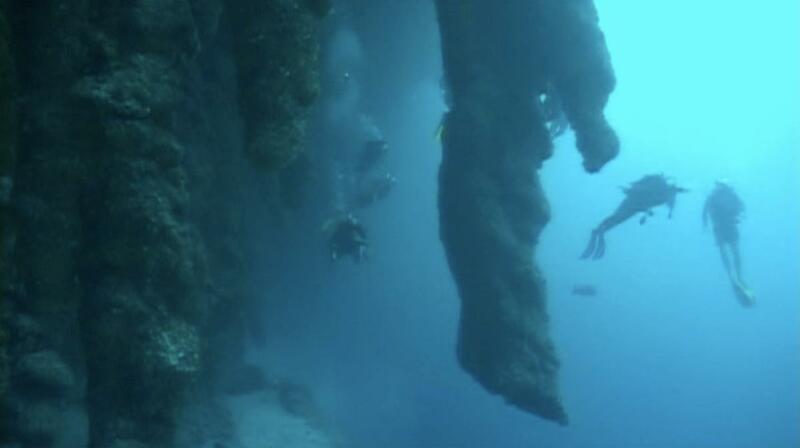 Stalactite samples show that the Great Blue Hole has been around for at least 150,000 years. This natural phenomenon was created as caves collapsed from rising ocean levels. The Great Blue Hole is located at approximately 100 km (62 miles) off the coast of Belize where sinkholes are well known. Since the discovery of this giant sea hole, this site has been a popular tourist attraction for recreational scuba diving. There are diverse species of fish and other marine creatures inhabiting this specially formed area along with the nearby reefs. 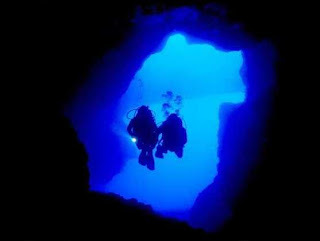 Scuba photos by Robert Scales. 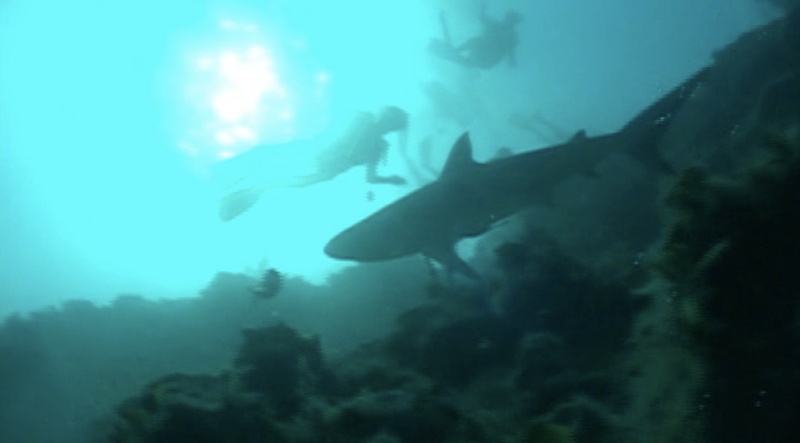 As much as I want to go diving in that I probably can't because of my lung (which could recollapse, no more SCUBA diving for me i_i) and I'm kind of scared by that. 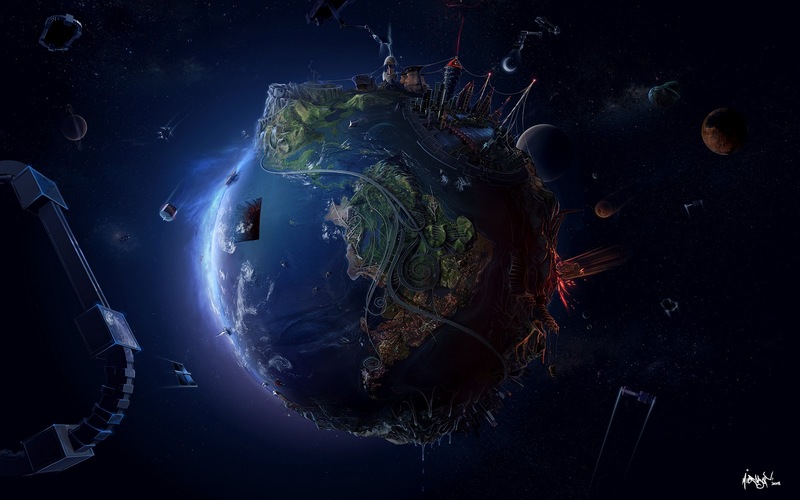 Still, really awesome looking though.